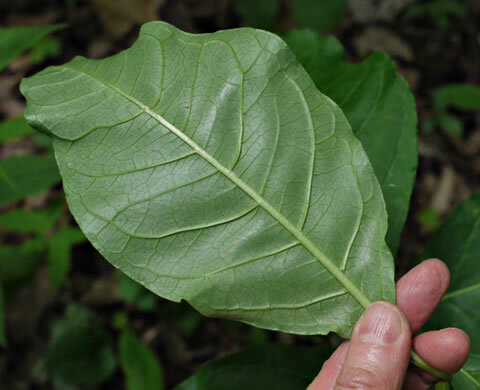 Leaves are thin, broadly elliptic, tapered at both ends, mostly smooth, per Wildflowers of Tennessee. 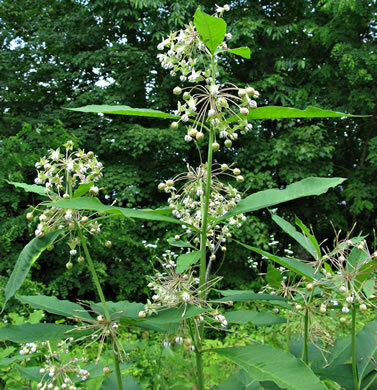 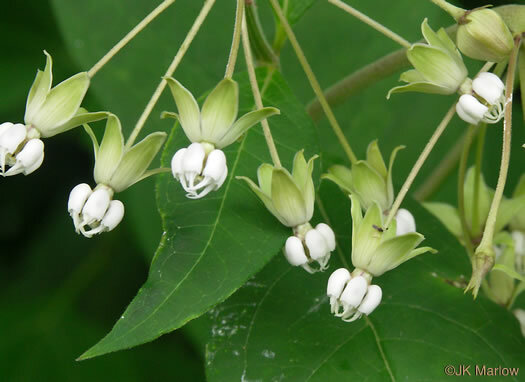 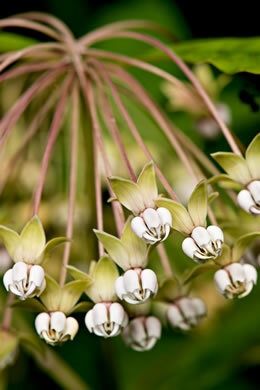 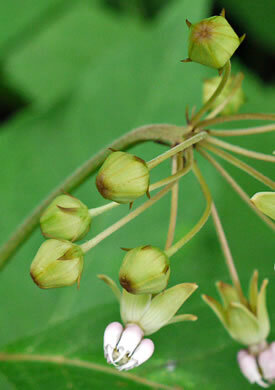 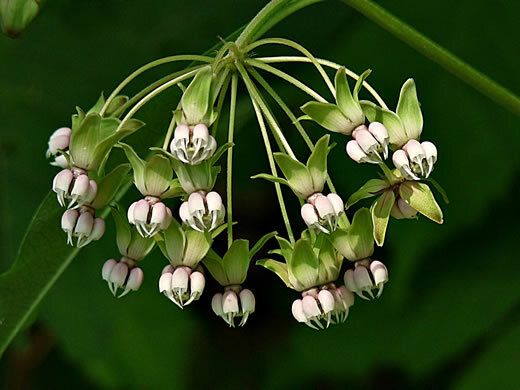 Flowers in loosely-flowered, drooping umbels from upper leaf axils, per Wildflowers of Tennessee. 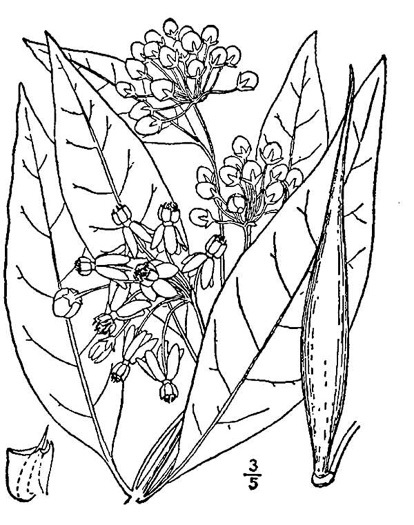 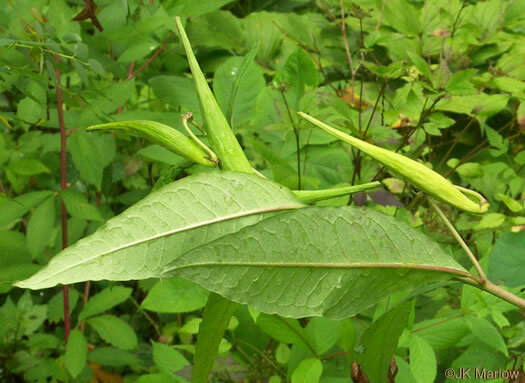 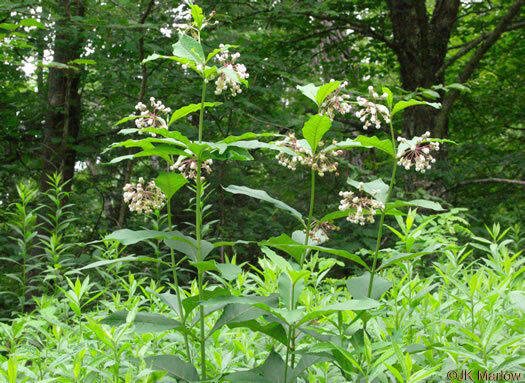 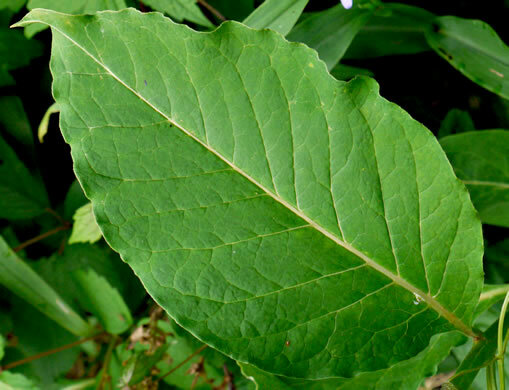 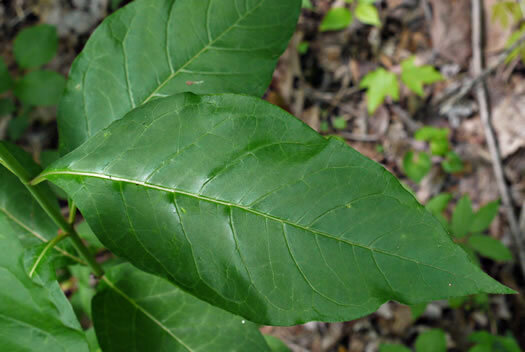 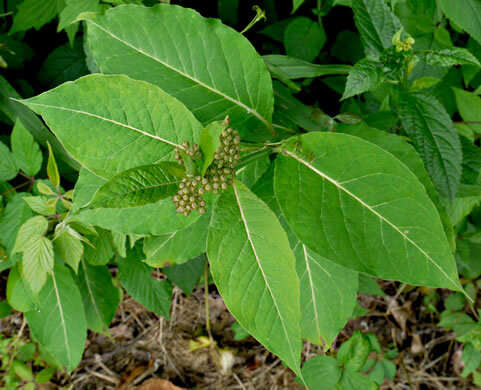 Leaves resemble those of Pokeweed, per Wildflowers of Tennessee, the Ohio Valley, and the Southern Appalachians. 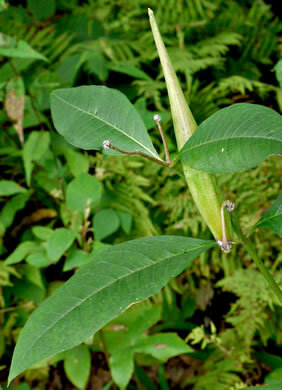 Stem simple, solitary, 5-10dm tall, glabrous or sparsely puberulent, per Vascular Flora of the Carolinas. 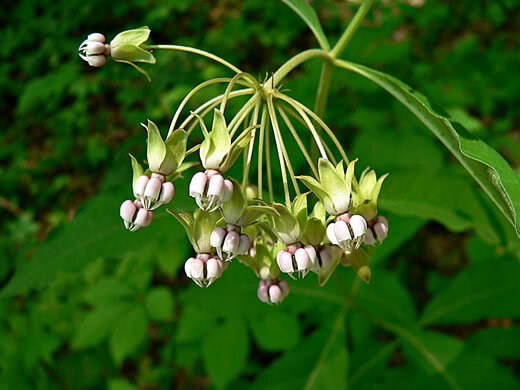 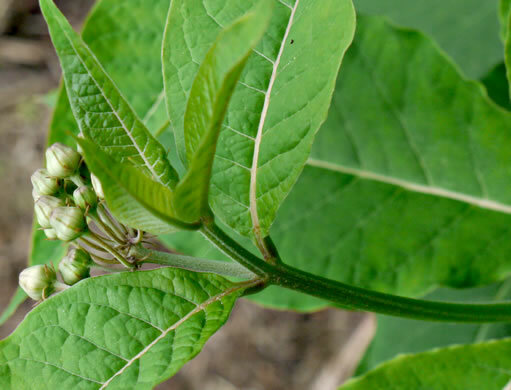 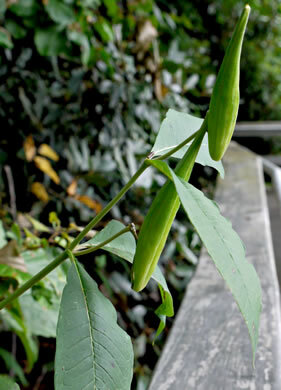 SC's only milkweed w smooth, broad, stalked leaves & smooth erect follicles, per Guide to the Wildflowers of SC. 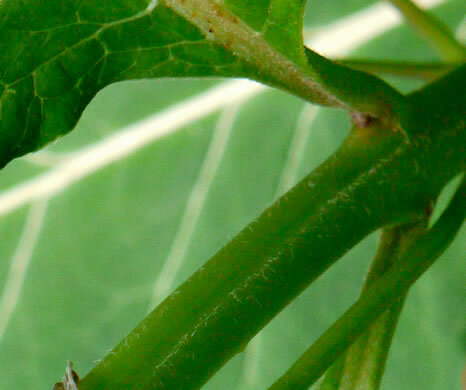 Corolla lobes reflexed; corona horns arching high, 1.5-2x long as corona hoods, per Vascular Flora of the Carolinas. 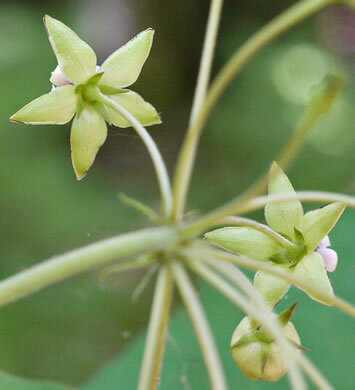 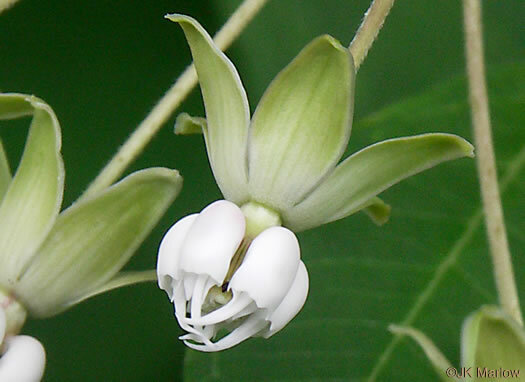 The small green sepals alternate with the larger greenish-white petals. 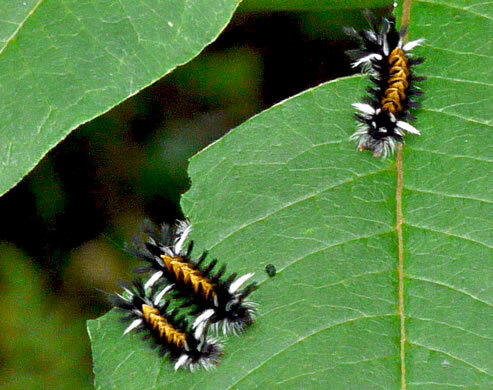 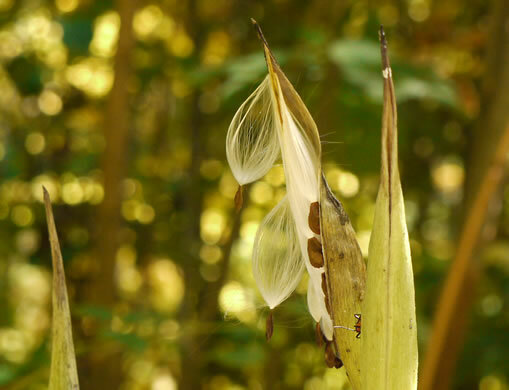 Caterpillars of the Milkweed Tussock Moth hatch and feed together, per Milkweeds, Monarchs and More by Rea, Oberhauser, and Quinn.